Anne was terrific upon check-in. Very friendly and quite accommodating to some extras for us. Thanks The accommodation was clean, spacious (upgraded room for us) and comfortable. Somewhat aged decor, but none-the-less quite relaxing after a day on the road! Very limited cooking (no hot plate, or stove top), only a microwave. Fairly quiet town, even though this property was close to a major town road, so the sleep noise was not uncomfortable. The unit we were in was not far from this road and was pleasant. Overall nice to put your head down! 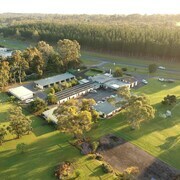 Which hotels are closest to the Naracoorte airport? Where to stay near top Naracoorte attractions? What kind of hotels are in Naracoorte? Which hotel chains are in Naracoorte? Visitors to Naracoorte are sure to enjoy the restaurants. Tourists can also enjoy the city's golf courses, bars, and parks. Favorite places to visit in the city include Black Cockatoo Bush Camp Hiking Trails, Parklands Nature Park, and Naracoorte Golf Club. Additionally, you might want to add The Sheep's Back Museum to your agenda. William Macintosh Motor Lodge - With a stay at this 3.5-star motel, guests can enjoy access to a restaurant and free parking, along with free WiFi. It's a favorite with Expedia travelers for its dining options and helpful staff. 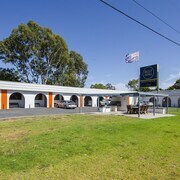 Naracoorte Hotel Motel - Our customers like the helpful staff and comfortable beds at this motel. This 3-star motel features a restaurant, free parking, and laundry facilities. Hidden near the southwestern tip of South Australia, in an area commonly called the Limestone Coast, lies the cosy town or Naracoorte. About 120 km north of the ocean and 336 km southeast of Adelaide, Naracoorte is home to roughly 5,000 year-round residents. The laid-back lifestyle and abundance of outdoor activities attract many visitors to this region, as do the famous caves in Naracoorte’s nearby national park. And with museums, galleries, golf courses, and wineries, there’s something for everyone in this treasured town. 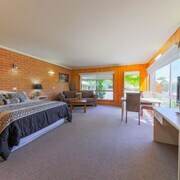 Experience the allure yourself by booking a room in any of the hotels in Naracoorte. Whether you want to stay at a cheap hotel in the middle of town or at a modern motor lodge with all of the amenities, a handful of Naracoorte motels are yours to choose from during your stay in this corner of SA. 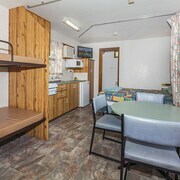 There is even an affordable holiday park with loads of on-site entertainment options. If you plan on visiting Naracoorte from outside of SA, chances are that you’ll fly into the area by way of Adelaide Airport. Plan on taking one of these Adelaide flights? If so, it’s easy to arrive in Naracoorte by then hopping on one of the Premier Stateliner coaches that stop here during the daily trek from Adelaide to Mount Gambier. If you’d rather drive yourself, you can easily arrange a car hire from Adelaide Airport. And if you’d rather just be dropped off at your destination, any of the local cab services should be able to assist you. 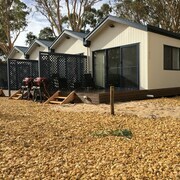 Let Expedia.com.au help you book your dream holiday in Naracoorte. We’ll present you with the internet’s largest selection of Naracoorte hotels and make it easy for you to reserve a room that meets your needs. 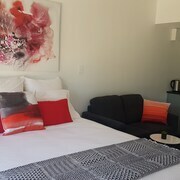 We’ve even got amazing deals on Adelaide holidays if you’d rather stay elsewhere in SA. No matter where your travels take you, count on us to make your trip more enjoyable and affordable. Are there hotels in cities near Naracoorte? 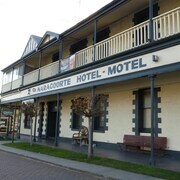 Explore Naracoorte with Expedia.com.au’s Travel Guides to find the best flights, cars, holiday packages and more!